Specific Dangers Facing Florida Motorcycle Riders | DeLoach, Hofstra & Cavonis, P.A. Gorgeous weather and beautiful views make Florida a top destination for motorcycle riders. Both residents and tourists add to the millions of people traveling on Florida’s streets and highways, which naturally increases the odds of an accident. Unfortunately, Florida’s extended high temperatures and population density make the state a leader in motorcycle fatalities nationwide. According to a recent report from the National Highway Traffic Safety Administration (NHTSA), Florida has the most motorcycle deaths out of any other state in the nation. In the report, motorcyclists accounted for only 7 percent of licensed drivers, but they comprised 19 percent of motor vehicle accident victims. Distracted drivers. 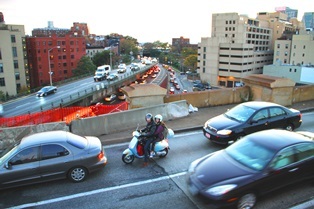 The majority of motorcycle accidents are caused by drivers of the cars around them. A driver who is texting or not paying attention to the road is less likely to see a biker or to respond to a hazard fast enough to avoid a crash. Lack of driver training. Vehicle operators often forget that motorcycles have as much right to the road as cars do. Drivers may be reluctant to share the road with bikers, or even forget to look or listen for motorcycles in traffic—an oversight that can be deadly for a biker making a legal left-hand turn in front of a car. Aggressive drivers. While forgetting about motorcyclists can be dangerous, some drivers actively target bikers, running them off the road or “squeezing” them out of traffic lanes. Failure to leave adequate room between a vehicle and a motorcycle is not only illegal, but also far more likely to result in the rider’s injury than the driver’s. Road hazards. Potholes, spilled gravel, uneven grading, cracked pavement, standing water, oil slicks, and other variances in the road surface can mean a driver's car gets a flat tire. For a biker, these conditions may cause catastrophic injuries or death. While it's up to all road users to reduce the chances of a crash, motorcyclists are responsible for protecting themselves and their families in the event of an accident. Medical costs, emergency treatment, property damage, loss of income, and legal fees mean the potential financial damage of a bike crash injury can easily rise into the millions. Wear a helmet. The repeal of Florida’s mandatory helmet law led to increased motorcycle fatalities, doubling the number of biker deaths in some populations. The easiest way to survive a crash is to wear a helmet on every ride that meets a high protection standard. Purchase insurance. A recent AAA survey found that as many as one out of every five motorcyclists doesn't have insurance. This makes it extremely difficult for a rider to get compensation after an accident, even if the crash wasn't his fault. Wear safety gear. In addition to leathers or durable clothing covering the whole body, riders should have proper eye protection and closed-toe boots or shoes as standard riding gear. Florida's sweltering heat during certain times of the year may be an initial deterrent, but some protective gear is developed with lightweight material. Increase visibility. Where and when you ride can make a big difference in your accident risk. Always signal your actions and never ride in another vehicle’s blind spot. If you must ride at night, wear reflective clothing and make sure your headlight and tail lights are on. Ride smart. Always ride with your brain, even if other drivers don’t. Avoid weaving between lanes and stay below the speed limit, and always turn off the motorway if the weather impedes your traction or visibility. Consider taking a motorcycle safety and skills course to brush up every few years—a practice that can also reduce the cost of your motorcycle insurance. Smart moves protect you in a crash, and they also improve your chances of compensation if you have to file an injury case. If you've been hurt in a motorcycle crash, we can help you get the justice and compensation you deserve, and we don't collect any fees until your case is won. Simply fill out the quick contact form on this page to set up your consultation with an attorney. How Do I Pay My Medical Bills After a Florida Car Accident?